In its Dear CEO letter dated 28 June 2018, the Prudential Regulation Authority issued further guidance as to its approach to crypto-assets and their treatment by regulated entities, to include insurers. The PRA is clear that the relevant understanding of how crypto-assets are treated within the regulatory framework has to be held by senior management – it is no longer the case that those involved with any crypto-related technology, whether a blockchain using a utility token or considering how traditional policies respond to crypto assets, can be isolated within innovation units or digital business units. The letter expressly calls for firms to advise their usual supervisory contacts of any “crypto-asset exposure”. Consistent with prior statements, and of the approach taken by the FCA (see for example the Discussion paper issued by the FCA in December 2017), the letter does not prescribe specific treatment but rather reiterates that treatment of crypto-assets has to be undertaken within the existing regulatory framework. This is a further sign of the emergence of the new technology and its dove-tailing with existing markets and practices, which is not always straightforward. Whilst both sensible and in many ways helpful, the PRA does raise a number of questions as to how insurers should respond to what is essentially a shot across the bows; that regulated entities need to fully understand what it is they are dealing with and the implications. One key issue will be the need to classify crypto-assets for “prudential purposes”. Of course, one person’s crypto-currency is another’s utility token and the boundaries – if indeed any exist – are blurred. Fundamental to effective response to regulation therefore is an understanding of the technology, to include the development to date as well as the varied unexplored elements. From the projects and development work undertaken by Clyde Code (our smart contracts, blockchain and tokens consultancy), we see a clear distinction between tokenised networks and crypto as an asset class, and between fungible and non-fungible tokens. We believe that the potential for decentralised and tokenised platforms or networks is huge, and that the implicit transparency and in-built trust-enabling mechanisms are a regulator’s dream. However, in these current early days these terms are themselves capable of significant nuanced meanings and the lack of clarity and consensus as to the meanings of such terms makes an off the peg solution for regulatory oversight difficult. Rather a bespoke understanding is required. Such a bespoke understanding requires a fused analysis of the legal, commercial and technical considerations of each project. For some early adopters of the crypto world the intrusion of regulators is unwelcome. We at Clyde Code welcome the move from the backwoods on to a better-trodden pathway. The head of the Prudential Regulatory Authority (PRA) Sam Woods wrote to chief executive officers (CEOs) of financial institutions today to warn of the risks of cryptocurrencies. The regulator, which is part of the Bank of England, warned that cryptocurrencies showed high price volatility and also raised concerns about vulnerability to fraud and manipulation as well as money laundering and terrorist financing risks. 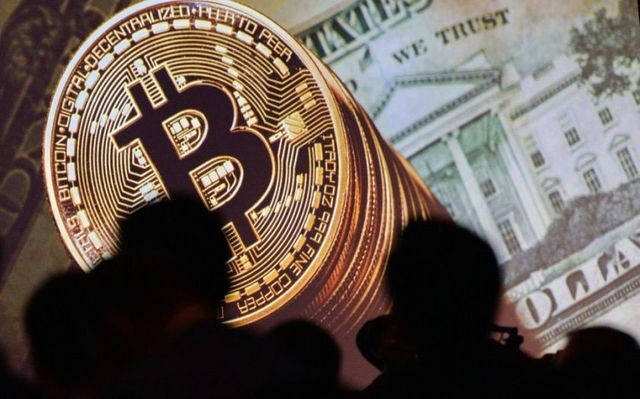 He said that cryptocurrencies may give rise to reputational risks and reminded CEOs of their obligations to act in a prudent manner and have effective risk strategies.